ID: 2411 ~ Source: Johnson, Daniel H. “Texas Knights of the Ku Klux Klan (Waco, TX).” The Hall-Hoag Collection, 19 Sept. 2014, blogs.brown.edu/hallhoag/2014/09/19/texas-knights-of-the-ku-klux-klan-waco-tx/. 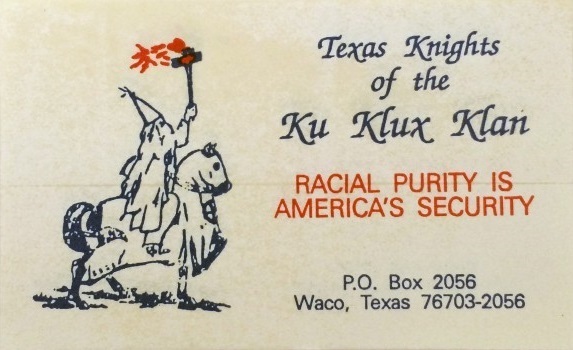 This KKK sticker was included in a recruitment package sent by Michael Lowe in 1990, showing that Waco still had a KKK presence. 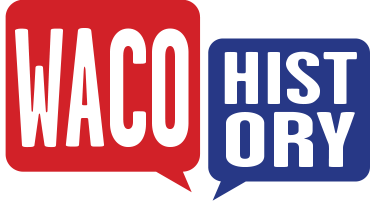 Not much is known about the dealings of this recent Klan.